Hello, I would like to see more pictures of the 2019 BUICK REGAL SPORTBACK, stock# 8049. Hi, my name is and I am interested in your I need info about your 2019 BUICK REGAL SPORTBACK (8049). Very nice looking Regal with Driver Confidence Package #1, wireless charging, cornering lamps, automatic leveling headlamp control, LED headlamps, rear park assist, rear cross traffic alert, lane change alert with side blind zone alert, 9-speed automatic transmission, front and rear splash guards, and more! *Default estimated payment is based on 3% rate for 72 months and $6,488 down payment. Estimated payments are for informational purposes only and don't account for acquisition fees, destination charges, tax, title, and other fees and incentives or represent a financing offer or guarantee of credit from the seller. Please send me the vehicle history report for your 2019 BUICK REGAL SPORTBACK (8049) that I saw on the MyAutoNow. 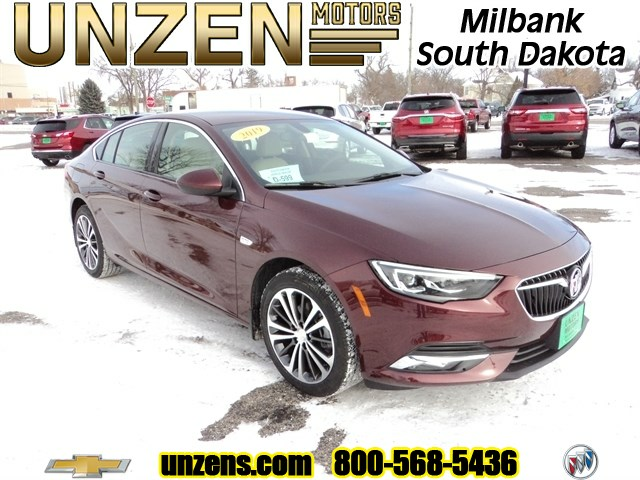 I am interested in this 2019 BUICK REGAL SPORTBACK (8049) that I saw on the MyAutoNow. Please contact me with more information.